I’m Kelly Swain. You may have read my introductory article ‘Kelly Swain – My Journey’ published on this website last September? I spoke about my personal journey with mental health issues which were compounded by physical problems resulting from the traumatic birth of my second child. But by using the power of my brain to think positively and use complementary therapies instead of prescribed opioid drugs, I am now on the road to recovery. Since then, my ambition has been to help empower therapies for children and teenagers within schools. I am delighted to say that my plans are proceeding at a phenomenal rate!! 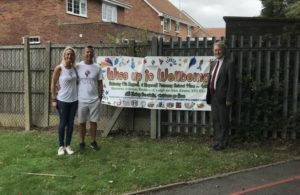 Here is an update…..
empowering and educating complementary therapies, I have had meetings with the headteacher Mr Andrew Palmer and Sir David Amess MP to organise another event for 26th May 2019. We aim to increase the footfall so that we can educate more people about complementary therapies. It will be a great day and will include good food and plenty of entertainment for all ages. Come along to the day if you are free and prepared to be open minded. We intend to have a lot of support from local celebrities too. Sir David Amess had said to me that when he took my message to Westminster about the need to support the minds of the young and create awareness of alternative therapies that will aid emotional health and wellbeing, I have pushed a big door down within Westminster. In the last few months I have also written to Damian Hinds MP, the Secretary of State for Education, to put forward a request for mental health awareness and mindful meditation to become part of the curriculum, giving him a brief on how these have changed my life in such a natural way by releasing emotions. I have received a reply stating that proposals to change the curriculum to include emotional health and relationship health are being put forward next year. A breakthrough that was needed! I was so pleased as this meant there were no external barriers and I could push forward with my mission. I immediately arranged to meet with Mr Palmer from Heycroft Primary School again to organise for workshops to be put into the schools to see how the environment and behaviours would change. 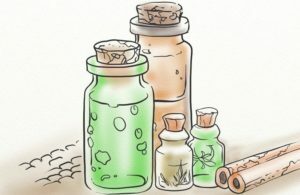 As part of a test run, I intend to put in certain therapies to try and gain market research for the improvements they have on calmness, concentration and support. As I mentioned in my last article, I want to support the minds of the young and give them the support they need to aid emotional health and wellbeing, and ensuring they have the right tools for when they go through those inevitable transitional and challenging periods of their lives. I also feel it is just as important for the parents and teachers to be supported with complementary therapies too. 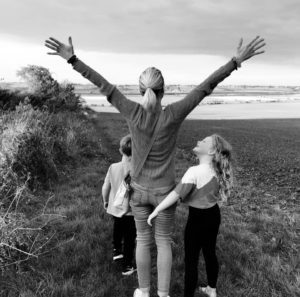 Teachers are under pressure with Ofsted targets which are putting them under huge amounts of stress; being a parent in today’s stressful society and trying to keep up with the balance of parenting, work and home life frequently leads to emotional health problems of stress and anxiety. As research shows, if we are stressed our negative vibrational energy impacts our immediate environment resulting in the children unwittingly taking on a lot of those stresses either before they get to school or even whilst there at school within the classroom. Clearly, this will cause them difficulties: they will struggle to stay calm and concentrate and this, in turn, can often lead to disruptive behaviour. I have implemented changes within my own home environment by using wonderful essential oils which have many properties such as uplifting, calming, emotional balancing, improving concentration, relaxing. And before leaving for school in the mornings and at weekends, my children and I practice daily affirmations of love and gratitude together. There’s never a morning that they go out the door with any worries or carrying any stresses with them! Whilst I have been working hard to realise my mission to support mental wellbeing in schools, my own physical health issues still need to be addressed by the NHS! After months of waiting and having the support from Sir David Amess, I have finally been put under the top consultants within the UK to remove the mesh implant. A big sigh of relief! After seeing the consultants involved, they have said they are going to remove the mesh and perform reconstructive surgery. I’m waiting for a date hopefully in the next couple of months. There’s a big chance that once the mesh implant is removed a lot of the chronic pain I currently suffer will disappear within a few months after the operation. I will have a stoma bag and self-catheterise for a while to let the bowel and bladder rest for about three months. But hopefully, I will then gradually be able to be an active mummy again! I have opted for a holistic approach to recovery involving Reiki Healing, Rhani Healing, Crystal Healing and many other therapies. Because of these wonderful therapies, my state of mind is the best it’s ever been which enables me to crack on with my mission despite the constant physical pain and struggles. I’ll still be behind the keyboard pushing my missions forward and I’ll continue on this path come what may! However, I’m looking forward to the time when I will finally be able to build up the muscles that have been wasted from my pelvis down by doing yoga, Pilates and swimming. As I mentioned in the last article, in previous months of recovery I was able to re-programme my mind by re-addressing my self-values and limited beliefs and releasing emotional patterns of trauma, depression and anxiety creating my own shifts. I wanted to do something in this area so that I could start supporting other people with emotional health and wellbeing issues. I put myself forward to an NLP (Neuro-Linguistic-Programming) course to become a qualified practitioner. It was something I wanted to do for myself to regain my independence. I hadn’t had the confidence before now to flee the nest and make something of myself. I started studying and really enjoyed the course. I met some amazing friends there who all made me feel welcome and comfortable. I closed my eyes, He asked me to sway my body from left to right, back and forward then took me into a relaxed state of mind and started communicating with my subconscious mind, using my body movement as communication. I was asked to visualize a dial (one you use to turn the volume down on a stereo), taking the pain down from 100 – 50, then from 50 – 0. This exercise was amazing as I felt my body relax instantly. Andy suggested I balance out my daily activities and not to overdo things which would be likely to trigger the highest levels of chronic pain. After coming home, I started to walk without my stick, not over doing it of course and knowing my limits. I felt as if the old way of thinking was gone and I was able to move about without my stick. I consciously knew it was always there to use, my subconscious mind was letting me know that I can move about without using it unless I really needed it. I can now take my car near to the school and then slowly walk through the alley way to get the kids in to the playground and watch them go into their classrooms. I still user Wanda wheels to take my dog out as I’m still learning to balance out before my big operation to have the mesh removed. However, this progress is still another wonderful breakthrough! I came home to two very excited children who I had missed dearly over the days of being away from them. They both told me how proud they were of me and how glad they were to have me home! NLP is a brilliant module to reprogram your mind, behaviour, environment, limiting self-beliefs and values. I will continue to push forward to make a difference with this choice in therapy as it truly has great results in creating shifts. I’m so glad that I have become a fully-fledged practitioner in order to coach and support others to make positive changes to their emotional health and wellbeing. 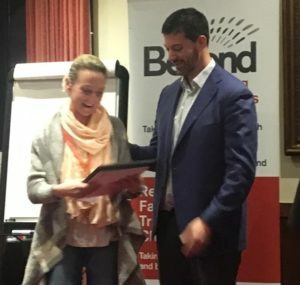 Kelly Louise Swain completed her NLP Practitioner training with Beyond Training Solutions Ltd in November 2018. During the course Kelly demonstrated, not only a good understanding of the NLP principles and tools, but also showed that she had a great ability to coach the individuals she came into contact with on the course. She showed great empathy and was able to be completely with the people she worked with, allowing them to have a safe space to work through the issues and outcomes they wanted to work on. She was able to flex her approach, dependant upon the individual, and skilfully facilitate them through each technique. In addition to all of the above, it was wonderful to have Kelly’s positive attitude and energy in the room. She showed an incredible ability and willingness to help everybody and was a great inspiration to others, sharing her experiences when asked and enabling them to start to model her positive attitude and strength of character. She showed an eagerness to learn as much as possible, and thought through how every principle and technique could be applied, not only in her own life but also with the people she was passionate abut working with in the future. She has continued to share her positivity and experiences with the delegates and encourage them to continue to apply everything they learnt going forward. Kelly’s passion for empowering others through combining NLP with her other skills shines through everything she does. Her tenacity and focus, coupled with her giving personality and ability to apply everything she learnt on the course, leaves me in no doubt that Kelly will be a great coach and provide people with a safe and empowering space to conquer their issues and achieve their outcomes. We are delighted that Kelly now also plans to extend her NLP knowledge further and embark on her Master Practitioner training. Kelly’s eagerness to give back is also demonstrated in the fact that she has volunteered to crew for us at our events and we know that her energy will be a great asset to all of the delegates. I want to support others who suffer with emotional health and wellbeing issues using my qualification but without making it too expensive for them to have the coaching sessions. I am sure you will all agree with me that a lot of people don’t have the coaching / counselling sessions they desperately need because the cost is prohibitive. Local services are inundated with requests for support, making it virtually impossible to see people in need within an appropriate time frame. It shouldn’t be this way to make a difference to someone’s life. Yes, we all must earn an income; however, I feel passionate enough to work round this and give someone a chance by making it affordable and accessible for all. I decided to offer FREE coaching sessions making people feel safe and create shifts using NLP. I already have a lot of men clients, I am over the moon about as I’m intentionally reaching out to them to break the stigma. I want to be there for them and help them open up, which most men find extremely challenging. Naturally, I also have many women clients too. In September 2018, I started building a foundation for a company that will launch in 2019 called N.O.W is the time for change. The company will offer complimentary therapies and coaching into schools, colleges, universities and the community providing tools and support for emotional and mental health. We are currently working with Heycroft Primary school to put these practices into place, alongside workshops using complementary therapies for the children, parents and teachers. We have already had great support from the local government and sponsors! Exciting time!